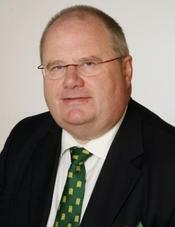 Later this morning Eric Pickles MP will be addressing the Conservative Councillors Association's Leadership Conference in Nottingham. He intends to deliver a blunt message: Stop Implementing The Orders Of This Dying Labour Government And Start Behaving Like Conservative Councils. Labour is dying: "Time is running out for Hazel [Blears] and her friends. Every week that passes the government’s authority diminishes. With every passing week their ability to dictate to local authorities gets that little bit less. In its remaining few months in office Labour now has fewer levers of power to pull. The ability for Labour Ministers to influence local events without our support is slipping away." Conservative councils have waited too long to stand up to Labour bullying: "Over the past 10 years Conservative local authorities have cooperated with the government to make the best of ill thought out plans and deliver the best possible results for local residents. Swamped by ever changing government targets, overburdened by red tape and overloaded by regulation we have delivered quality services and low council tax. The time is overdue for Conservative Council's to stand up to this bullying and controlling government on behalf of their communities. It is time for Conservative councils to “just say no.”"
It's time for Conservative councils to be Conservative: "The electorate in a series of successive elections have soundly rejected Gordon Brown and this Labour government. Right across the land Labour has lost its mandate, it is unreasonable to Conservative councils to deliver for the government unless there is consensus. We are not in the business of delivering “Labour Lite;” local priorities now must take precedent. Local residents want quality frontline services at value for money prices. They don't want their council wasting time on money on nanny state, politically correct or vanity projects. They want councils who serve the people, not wasteful or intrusive town halls who serve as agents of the state. Local people elected a Conservative council and they have the reasonable expectation of enjoying one and anticipating a Conservative government." Mr Pickles encourages Conservative councils to cooperate with Labour but not to underestimate their power in setting the terms for that cooperation. One of the big themes of the next two years will be attempts by the Conservative leadership in London to encourage local councils run by the party to tap into the best and most innovative policies being pioneered by other Tory councils. To that end Cllr Stephen Greenhalgh of Hammersmith and Fulham recently launched the Conservative Council Innovation Unit. This has been a consistent theme of Christina Dykes in contributions to ConservativeHome; see here and here.